The Development Bureau has said that parts of Chief Executive Carrie Lam’s Lantau Tomorrow Vision development project will cost approximately HK$624 billion. 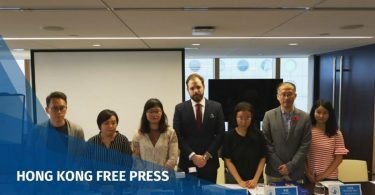 The estimate includes the reclamation of a 1,000-hectare artificial island at Kau Yi Chau, off the eastern side of Lantau Island, as well as reclamation at Sunny Bay, Lung Kwu Tan, as well as developments and infrastructure around Tuen Mun’s coast. 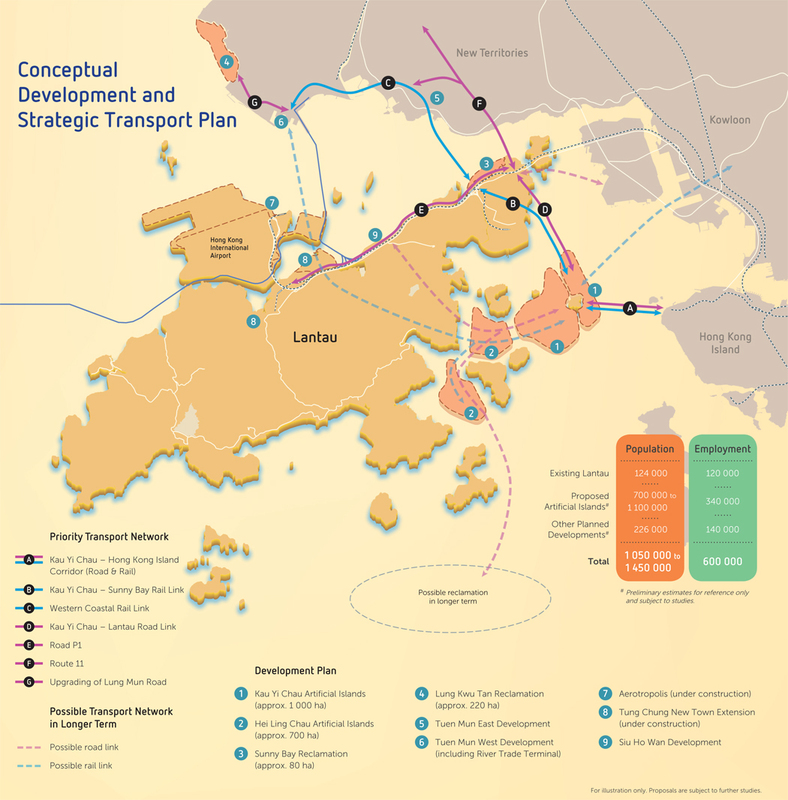 The Kau Yi Chau reclamation, and related projects will cost the most, at HK$256 billion. The estimates were made on the basis of engineering costs as of September 2018. Michael Wong. Photo: RTHK Screenshot. The estimate does not include a reclamation plan for 700-hectares at Hei Ling Chau, another outlying island off Lantau Island. 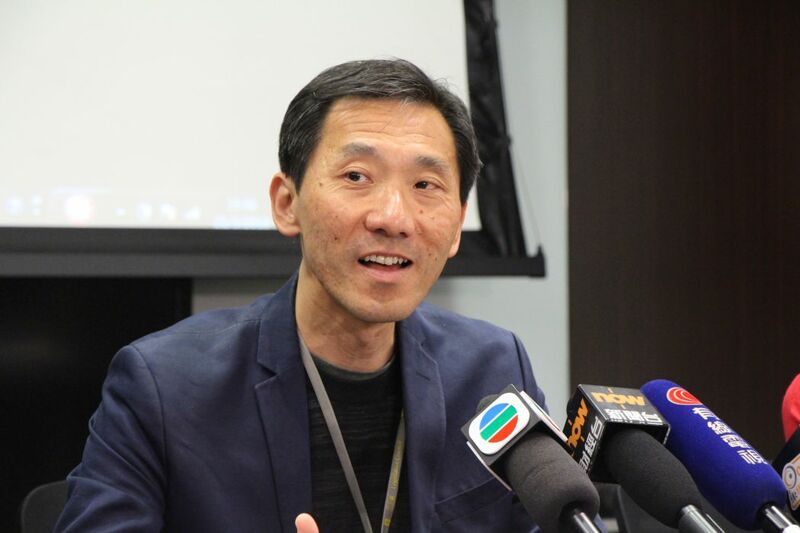 Secretary for Development Michael Wong said there was no timetable for Hei Ling Chau. “If we put an estimate out, it would be very misleading,” he said. Wong said that, according to an estimation by the Hong Kong Institute of Surveyors, the government could earn between HK$974 billion and HK$1143 billion through land sales. The figures do not include revenue from housing property sales, Wong added. Wong said it was not the government’s usual practice to provide a cost estimate before engineering studies are conducted. “Through land sales, we will reclaim the costs,” Wong added. Lantau Tomorrow Vision. Photo: GovHK. 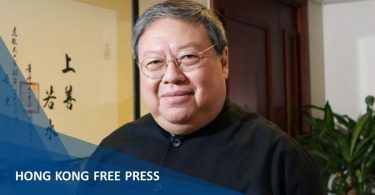 Wong said that, since the projects will span 15 years, the authorities could support spending of around HK$40 billion each year, as the government was already spending around HK$80 billion on engineering projects every year. He said that between 105,000 and 182,000 public housing flats could be constructed at the reclaimed Kau Yi Chau, amounting to 70 per cent of the total units promised. He said the accommodation provided at Kau Yi Chau could house those who will have to move owing to urban renewal projects. 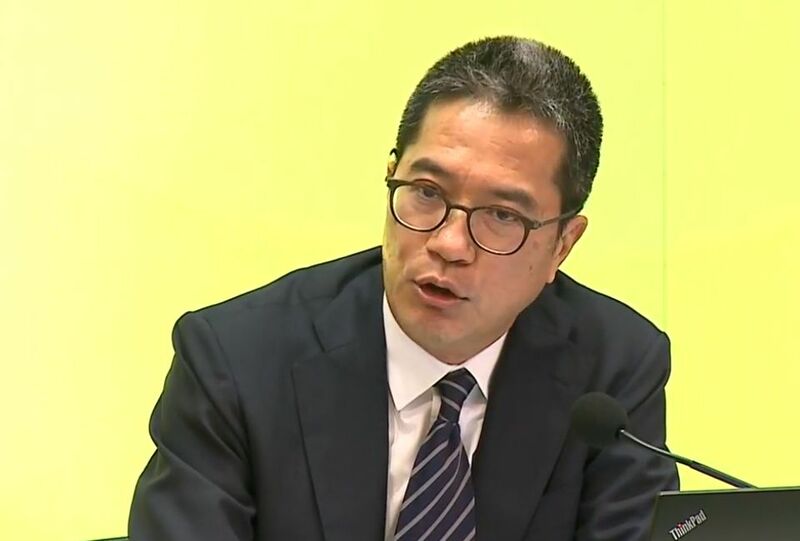 Wong also said that since Kau Yi Chau was near to the airport and Central, it could become a new core business area for Hong Kong providing an economic benefit of HK$141 billion to the city’s GDP. When asked about climate change concerns surrounding the project, Wong said that the government estimated the island would be six to seven metres above sea level. Additional measures such a raising the land level and using wave blockers would not increase the cost by a large scale, Wong added. “We are not concerned [about the effect],” he said. Former lawmaker Edward Yiu, also a surveyor, said he believed the government had underestimated the cost. Since it would take years to complete, interest could total at least HK$150 billion on the sum given. Edward Yiu. File photo: In-Media. He also said building costs will increase every year. At a conservative rate of 20 per cent over the minimum 14 years building period, the cost could rise by up to HK$900 billion in total.